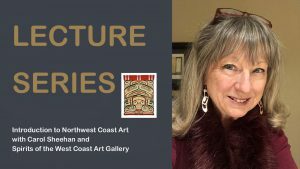 This series of 7 illustrated talks by Carol Sheehan is an introduction to the design principles and images that will help develop a visual literacy and sensitivity to coastal First Nations art. Exploring form, function, and meaning through the art of historic and contemporary masters of painting and carving—augmented by hands-on experience with the Spirits of the West Coast Gallery’s fine collection. What Makes Our Local Teachers Great? How Doing Your Part to Recycle in the Comox Valley Really is Making a Big Difference.